Distinguished Therapist, Coach, Educator and Consultant. Her 40 plus years in clinical practice enabled her to become a generalist as well as a specialist in the areas of mindful aging, hypnosis, trauma, and relationship dynamics. Both a clinical Social Worker (MSW) and a Ph.D. Clinical Psychologist, she always continued to learn new skills and techniques which made her more and more professionally effective. Constantly learning, she pursued additional training in techniques dealing with children, adults, seniors, couples and groups, which combined powerfully with her many years of clinical training in Direct and Indirect Hypnosis, Emotional Freedom Technique (EFT), Health Psychology, and Community Psychiatry. She began her graduate work on the East Coast (Smith College School of Social Work). After many years of both training and working within the Harvard Medical System and running her own private practice in Boston, she expanded her work to the West Coast, where she attained her Ph. D. in Clinical Psychology at the Fielding Graduate University in Santa Barbara, California. In 1990, she made Santa Barbara her new home. She traveled and worked extensively in foreign countries, studied trans-cultural psychiatry at the Harvard School of Public Health and helped to set up a child psychiatry clinic in Indonesia as part of a partnership between an Indonesian Medical School and the University of Hawaii Medical School. She also participated in the well-known Framingham Heart Study research project and was on staff at the Stone Center for Women and Research at Wellesley College. In Santa Barbara, she was the Clinical Director of the Santa Barbara Counseling Center for nine years. There she improved their clinical training program, supervised interns and staff, conducted trainings and initiated a new program called Senior Peer counseling. This program in later years evolved to become the free standing Center for Successful Aging, which she led as Clinical Director for approximately another ten years. During these years, in addition to having a small private practice, she supervised Ph.D. candidates at Hosford Clinic and at Antioch University where as adjunct faculty, she also taught courses in the Masters program. Her professional activities have also included consulting engagements with various non- profits and businesses in the Santa Barbara area as well as serving as guest speaker for many symposiums, classes and special events in Santa Barbara. Her last venture was to bring to Santa Barbara the concept of a virtual retirement community providing services to enable seniors to remain in their own homes: The Santa Barbara Village. She served on the board of directors until shortly before her death. 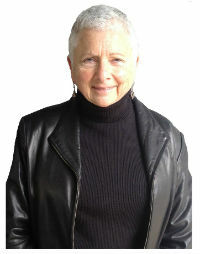 In 1999, she received the top administrator of the year in Santa Barbara award from the NASW (National Association of Social Workers) ; in 2010 she was proclaimed Senior Citizen of the year by the Central Coast Commission for Senior Citizens, and in 2011, she received an award for Lifetime Achievement from the California Association of Social Workers. Passionate about learning, community, and the color purple, her wisdom, insight, authentic curiosity, and gentle radiance will be deeply missed. The daughter or Alex and Mae Minker, she was born in Allentown, Pa. and grew up in Reading, Pa. She is survived by her son Andrew Schydlowsky and her former husband Daniel Schydlowsky.